During the next couple of months, I will try to give an identity to all players in the Nigeria Premier League 2010-2011 that I know has been involved in first team action for the respective clubs. The first club is the newcomers Bukola Babes FC from Ilorin in the Kwara State in Western Nigeria. Bukola Babes FC became number 12 in the Nigeria Premier League 2010-2011 and made a brilliant impression, especially since most of their players are amateur players. The full name of Sala Abiodun is “Akanmu Sala Abiodun “. He uses the name “Sala” on his shirt. According to 2muchsports.com, Abiodun is born 05.03.1988. Abiodun is an attacking player, most likely a striker. Based on pictures found on Backpagepix, Abiodun is a physical, strong player. 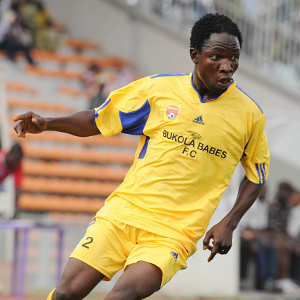 Abiodun played regularly for Bukola Babes FC during the second part of the Nigeria Premier League 2010-2011. However, he did not score any goals and had a rather quiet season. The full name of Adebayo is “Moronfade Christian Adebayo”. According to 2muchsports.com, Adebayo is born 18.08.1988. However, Adebayo has been described as a “youngster” by Naija Football 247 and SuperSport. Adebayo has been one of the revelations of the Nigeria Premier League 2010-2011 and was arguably the best player at Bukola Babes FC. He captained his team during the season. Adebayo is known as a free-kick specialist. At least three of his four league goals were scored from free-kicks. The picture of Adebayo is taken from Shengolpixs. Aigbe is also known as “Osas Stanley Aigbe”. Aigbe made a promising start to the season for Bukola Babes FC but decided to join Gombe United FC during the mid-season transfer window. According to 2muchsports.com, Aigbe was registered with the birthdate 09.11.1991 at Bukola Babes FC but 02.08.1990 at Gombe United FC. Aigbe is described as a gifted ball winner. The full name of Aiyeyemi is “Kehinde James Aiyeyemi”. He is also known as “James Kehinde”. According to 2muchsports.com, Aiyeyemi is born 09.07.1985. 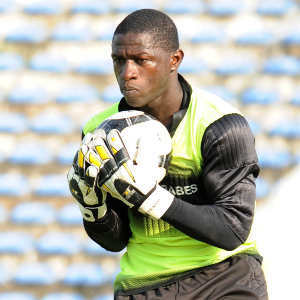 Goalkeeper Aiyeyemi started the season as second choice but was called into action when Suraj Ayeleso got injured. Aiyeyemi managed five consecutive clean sheets (450 minutes) against Niger Tornadoes FC, Warri Wolves FC, Kwara United FC, Crown FC and Heartland FC during January 2011. Despite this impressive record, Ayeleso retained his place in the team and I believe Ayeleso played the most matches of the two. Chinedu Ajanah is also known as “Simeon Ajanah” or “Simon Ajanah”. In February 2011, Ajanah was apparently suspended by Kwara United FC for breaking camp rules. In April 2011, Ajanah was off-loaded by the club. He joined city rivals Bukola Babes FC the same month. Ajanah can apparently play everywhere in the back four. In September 2008, Ajanah was a U-17 player for the Kwara Football Academy. Based on this information, it seems probable that the birthdate found at 2muchsports.com, 23.10.1992, is the correct one. Aminu is also known as “Kadir Aminu” / “Aminu Onumisi Abdulkadir / “Aminu Kadiri”. Aminu was apparently the top striker for Bukola Babes FC when they won promotion after the 2009-2010 season. He also made an impressive first season at top level of Nigerian football, scoring five league goals and playing regularly. Two of Aminu’s five league goals can be viewed in this video: http://www.supersport.com/football/nigerian-football-league/video/13689. Aminu is apparently a set-piece expert. There seems to be some confusion regarding the age of Aminu. The birthdate 18.06.1989 was found on the official homepage of Bukola Babes FC during the 2009-2010 season. However, according to 2muchsports.com, Aminu is born 17.04.1991. 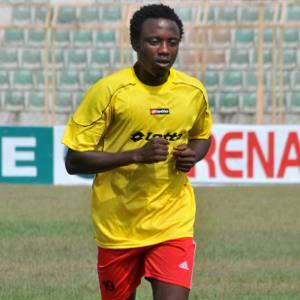 In September 2008, Aminu was a U-17 player for the Kwara Football Academy, which makes the latter birthdate probable. The picture of Aminu is taken from Shengolpixs. The full name of Audu is “Audu Abayomi Akeem”. Audu has been described as one of the revelations of the first part of the season and he was nominated for “Best Rookie” in the league in December 2010. On 27.11.2010, Audu scored the first ever goal of Bukola Babes FC in the Nigeria Premier League on 27.11.2010. Somewhat dissapointingly, Audu managed only one more goal during the season. In December 2010, several newspapers published a report about Audu’s plans to further his academic studies at the University of Ilorin. In the same report, it was stated that Audu had been with Bukola Babes FC since 2006 after featuring for amateur sides “Diskaborg” and “Royal Sports Academy”. He was an important member of the team that won promotion at the end of the 2009-2010 season. There seems to be some confusion regarding the age of Audu. According to 2muchsports.com, Audu is born 07.06.1990. However, SuperSport described Audu as a “19-year-old” in December 2010. The picture of Audu is taken from Shengolpixs. The full name of Ayeleso is “Surajudeen Ayeleso Olaiwola”. Ayeleso started the season as first choice goalkeeper of Bukola Babes FC. In December 2010, Ayeleso injured his toe and James Aiyeyemi took over the gloves. Ayeleso worked hard to retain his position and eventually succeeded. In February 2011, the goalkeeping coach of Bukola Babes FC confirmed that Ayeleso was above Aiyeyemi in terms of goalkeeping technique. 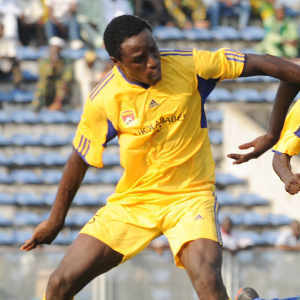 Naijapremierleague.net describes Ayeleso as “very capable in one-on-one situations”. Ayeleso is highly regarded at Bukola Babes FC and should be proud of his first season at top level. Ayeleso has apparently played for Bukola Babes FC his entire career. According to 2muchsports.com, Ayeleso is born 12.03.1991. SuperSport confirms that Ayeleso was 19 years old in February 2011. The picture of Ayeleso is taken from SuperSport. Balogun is also known as “Oye Balogun”. He was a fringe player at Bukola Babes FC during the season and apparently, he left the club in March 2011. I think Balogun is the player registered as “Olajide Femi Balogun”. He is born 29.08.1991 according to 2muchsports.com. Abdulrahman Bashir, the top scorer of Bukola Babes FC with nine league goals, has been a sensation this season. He has been described as a petit, hard-running striker with a massive work-rate. Bukola Babes FC team manager Aloy Chukwuemeka has called Bashir a “goal-a-game striker” and “a talent for the very near future”. 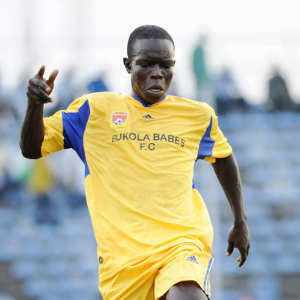 I have also read several more objective reports, hailing Bashir as an outstanding player in the Nigeria Premier League. Bashir has formed a youthful but highly dangerous striking pair with Akeem Audu. Apparently, the current season is the fourth at Bukola Babes FC for Bashir. Bashir was referred to as a “teenager” in January 2011 but is born 25.05.1989 according to 2muchsports.com. He was training with the Nigeria U-20 national football team in June 2011, which suggests that the birthdate found on 2muchsports.com is incorrect. Bashir has also been training with the Nigeria U-23 national football team. According to fresh reports, Bashir will join Egyptian side Al-Ahly for trials. Bashir is also known as “Mustapha Basher / “Mustapha Bashiru”. According to 2muchsports.com, Bashir is born 10.07.1994. As far as I know, Bashir joined Bukola Babes FC during the mid-season transfer window had a rather quiet time. The picture of Bashir (in yellow) is taken from MTN Football. In August 2011, Bassey became the first ever player of Bukola Babes FC to get a professional contract in Europe when he signed for Norwegian club Lillestrøm SK. 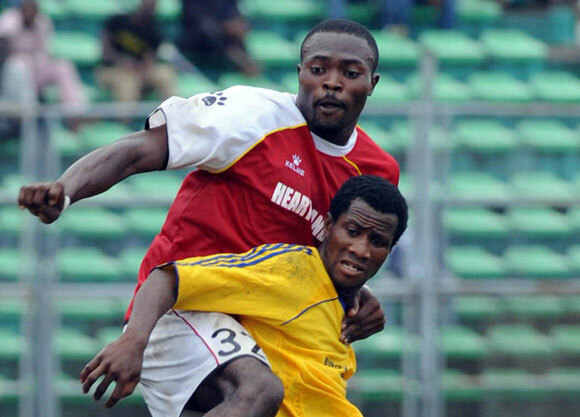 Bassey had made a great impression in the Nigeria Premier League and was a key player for his club when he left. Bassey is a central midfielder who is also comfortable as a winger. He is known for an excellent left-foot. Bassey is apparently a former player of UNICEM Rovers FC. 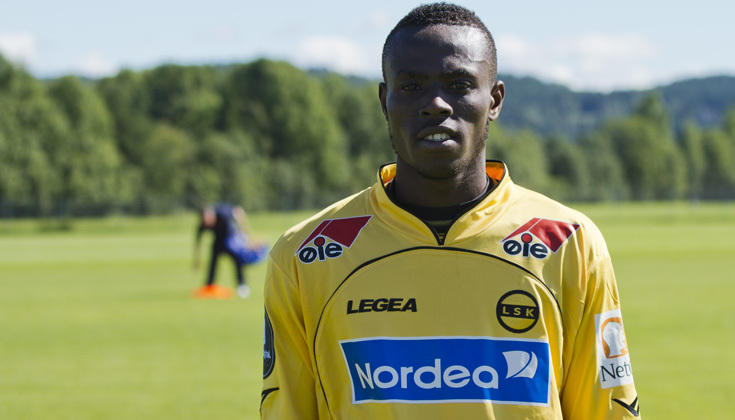 According to the official homepage of Lillestrøm SK, Bassey is born 24.06.1992. According to 2muchsports.com, Bassey is born 31.01.1990. The picture of Bassey is taken from lsk.no. The full name of the goalkeeper is “Suleiman Salihu Dogo”. I believe Dogo is the third or fourth choice at Bukola Babes FC. According to 2muchsports.com, Dogo is born 07.04.1991. The full name of Enemi is “Justice Enemi Umoru” / “Umoru Justice Enemi”. Enemi has a profile at mybestplay.com. In this profile, Enemi describes himself as a striker, a natural left-footed player that can use both feet. He likes to play from the outside right and can also play from the left. He has good workrate and is great at set-pieces. According to the profile, Enemi is 181 centimeters and 76 kilos. Enemi failed to score during the season and as far as I know, he had a rather quiet season. The tricky winger Etor has been one of the newcomers of the season, performing brilliantly since joining Niger Tornadoes FC during the mid-season transfer window. Etor is gifted with pace and skill to make any defence uncomfortable and is known for his dribbling runs and mobility. According to 2muchsports.com, Etor is born 05.05.1992. This birthdate is confirmed on his Facebook-page. The picture of Etor is taken from SuperSport. The full name of Evika is “Samson Omolade Evika”. Evika has been described as a gifted ball winner. As far as I know, he has mostly been a fringe player this season. According to 2muchsports.com, Evika is born 02.07.1989. Central defender Eze, also known as “Eze Chibunna Ambrose”, was apparently transfer listed by Bukola Babes FC in March 2011. According to 2muchsports.com, Eze is born 10.06.1992. Fabiyi is also known as “Alex Seyi Fabiyi” / “Seyi Ifabiyi”. Fabiyi started the season as the captain of Bukola Babes FC but as far as I know, he became more of a fringe player during the season. Fabiyi is born 18.05.1988 according to 2muchsports.com. I believe he is a defender or defensive midfielder. Gandu is also known as “Abdullahi Ganni Ali”. He is a rather unknown player to me. I believe that Gandu is a midfielder. According to 2muchsports.com, Gandu is born 20.06.1989. Powerful striker Gata, also known as “Ismaila Gafa” / “Ismaila Gata Adeshina”, proved to be a good striker. He played regularly for Bukola Babes FC before joining Kwara United FC during the mid-season transfer window. According to 2muchsports.com, Gata is born 13.03.1990. Liadi is also known as “Abdulsemiu Liadi”. Liadi has been a revelation in the defence of Bukola Babes FC and was rewarded with being named in the squad of the Nigeria U-23 national football team. Liadi is born 15.02.1991 according to 2muchsports.com. Raji Lukman, also known as “Raji L. Abdullahi”, was apparently transfer listed by Bukola Babes FC in March 2011. According to 2muchsports.com, Lukman is born 03.03.1991. Nazim is also known as “Nass Abou Trika” / “Abaubakar Yaya Nazim”. The midfielder did not break through at Bukola Babes FC and joined Gombe United FC, where he has been rather quiet, during the mid-season transfer window. According to 2muchsports.com, Nazim was registered with the birthdate 30.03.1990 at Bukola Babes FC and 03.03.1993 at Gombe United FC. Petit midfielder Ogar was a key performer for the Bukola Babes FC team that won promotion at the end of the 2009-2010 season. Ogar has also been an important member of the team during their first season at top level of Nigerian football. Ogar is a utility player but is mostly found in the center of the park. Ogar is born 22.10.1989 according to 2muchsports.com. The full name of Onigbari is “Onigbari Olamilekan Akeem”. According to 2muchsports.com, Onigbari is born 07.07.1991. 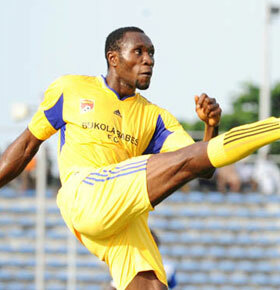 Powerful defender Onyechefula joined Gombe United FC during the mid-season transfer window. There seems to be some confusion regarding the age of Onyechefula. According to 2muchsports.com, Onyechefula was registered with the birthdate 05.10.1991 at Bukola Babes FC but 01.04.1993 at Gombe United FC. Bulky striker Otunba joined Bukola Babes FC during the mid-season transfer window, apparently from Babanawa FC where he was the top scorer. Otunba is also known as “Olusegun Otunba” / “Oluwasheyi Otunba”. The birthdate is confirmed by 2muchsports.com and Otunba’s profile at mybestplay.com. According to the profile, Otunba is 173 centimeters and 78 kilos. Salami is also known as “Ebiagbo Kingsley Salami”. Salami participated in the FIFA U-20 World Cup Canada 2007 but he disappeared from my radar after the tournament. He resurfaced in Lebanon before getting his career back on track at Bukola Babes FC. Salami joined the more ambitious Heartland FC during the mid-season transfer window. Salami is a midfield general with strong passes and an impressive work rate. According to FIFA, Salami is 180 centimeters and 65 kilos. The birthdate is confirmed by FIFA and 2muchsports.com. The picture of Salami is taken from MTN Football. Lively striker Saleh, who joined Bukola Babes FC during the mid-season transfer window, is born 01.03.1980 according to 2muchsports.com. Shobowale made a good impression in his first season at top level of Nigerian football and as far as I know, Shobowale was a regular in the midfield position. Shobowale is apparently a former player of Abiola Babes FC. He is also known as “Azeez Shobowale Shobola”. The birthdate is taken from 2muchsports.com and is backed up by information found on MTN Football. Tough defender Sogbeso is also known as “Shogbeso Seun” / “Sogbeso Bisayo Seun” / “Bisayo Seun Sogbaso” / “Seun Sogbesan”. As far as I know, Sogbeso was a regular central defender during the season, competing with Henry Ubom for the place next to Fade Adebayo. Sogbeso earned rave reviews for his performances. According to 2muchsports.com, Sogbeso is born 02.06.1989. The picture of Sogbeso is taken from SuperSport. Midfielder Sulieman is also known as “Rasheed Suleiman” / “Suleiman Mallam Rasheed”. He is born 10.10.1990 according to 2muchsports.com. Central defender Henry Ubom is hard as a rock. Ubom is also known as “Henry Ugbom” / “Henry Udom”. According to 2muchsports.com, Ubom is born 23.11.1991. The picture of Ubom is taken from MTN Football. The full name of goalkeeper Wasiu is “Ibrahim Wasiu Olaitan”. Wasiu is a product of the Kwara Football Academy and was apparently loaned to Bukola Babes FC during the Nigeria Premier League 2010-2011. Despite being a backup goalkeeper, Wasiu was somewhat surprisingly named in the squad of the Nigeria U-23 national football team during the season. Wasiu played for Kwara United FC during the Super-4 Tournament in August 2010. According to 2muchsports.com, Wasiu is born 15.01.1991. Yahaya, who was highly regarded while at Jigawa Golden Stars FC, started the season as one of the most experienced players at Bukola Babes FC. He failed to break through and joined Gombe United FC during the mid-season transfer window. 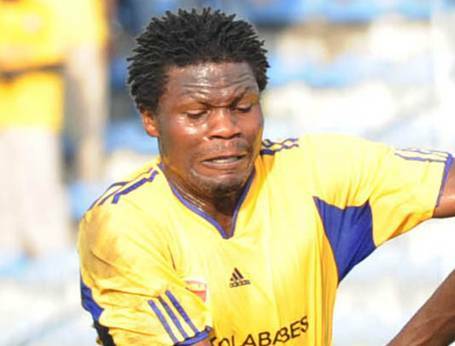 Apparently, Yahaya played for Lobi Stars FC in 2008-2009 before joining Wikki Tourists FC in 2009-2010. This is yet to be confirmed. Yahaya was part of the Nigeria U-20 national football team in 2008. This makes it likely that the birthdate 25.05.1989, found on 2muchsports.com, is the correct one. Yusuf, a very promising left-back that captained Bukola Babes FC in some matches during the season, is also known as “Abaubakar Yusuf” / “Abubakar Salas Yusuf”. Yusuf has truly been one of the discoveries of the season. Yusuf is born 31.05.1991 according to 2muchsports.com. The picture of Yusuf is taken from SuperSport. 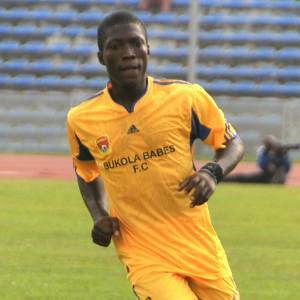 Apparently, Bukola Babes FC signed a player called Ismaila Suleiman during the mid-season transfer window. Suleiman joined from amateur club FC Diskabog and is born 20.11.1991 according to 2muchsports.com. 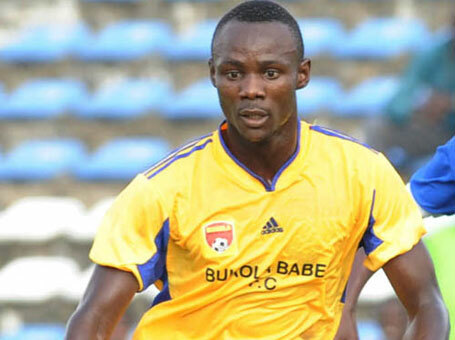 Bukola Babes FC also signed youngsters Adua Oninyangi (born 24.12.1994 according to 2muchsports.com), Wasiu Badmus (born 14.08.1990 according to 2muchsports.com) and Emmanuel Arinze Oyota (born 12.08.1991 according to 2muchsports.com). 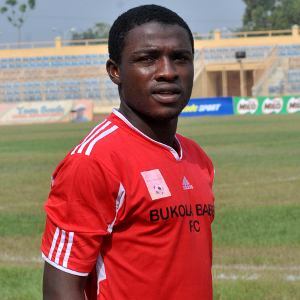 It is not clear to me if Samuel Monday Ayinoko Abu (born 12.11.1993) played any matches for Bukola Babes FC during the season. The defensive midfielder is currently part of the youth set up at SL Benfica(Portugal). Abu is a product of the Kwara Football Academy.